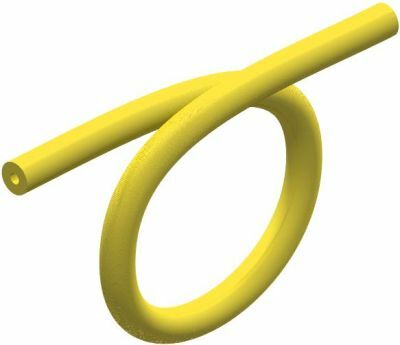 Very flexible but doesn't easily twist when bent, as standard silicone hose does. Fits excellently on Lego pneumatic parts. Easily goes through the holes of Technic parts. Price per metre. When ordering more than 1 metre of a colour, hose will be sent as one piece with a maximum of 25 metre. Reduced prices for 5 metre and 25 metre.